The Inventory System was divided into four menus; the File menu, Records menu, Transaction menu and the Reports menu. Under the File menu, the user will be able to backup and restore the database, change password and in this menu the user can log-out and close the application. The Records menu is the part where all data entry is being encoded. The user of the system must encode first the item profile, the item units, the item category, vehicle information, supplier information and as well as the client information. All of these entries will used for the transaction and reports menu. The Transactions menu is the part of the system where all inventory transactions are being done. 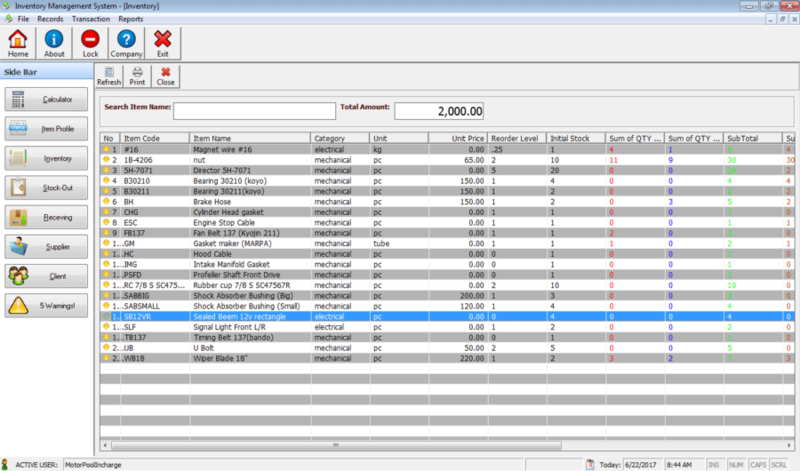 The transactions for this inventory system have four main categories; the receiving of the items, the stock-out transaction, the items return by clients and the items return to the supplier. The Reports menu is the last part of the system flow, in this menu you can print the necessary reports needed for the monitoring of stocks or items. The inventory report is the most important report of all, this report is the real time monitoring of stocks or items. The user can also print the list of items received and the list of items requested by clients. 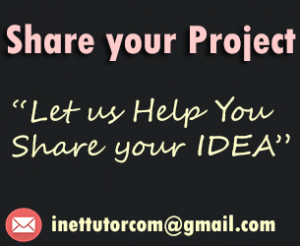 please download the installer of the project! what the installer name and database password ? I don’t kno ho to run this ? Where is the program ? Do you have a c# language like this system?